This column was written by the editors of National Review Online. The words "Iran" and "hostage" typically evoke memories of 1979, but in truth the Khomeinists are still kidnapping minions of the Great Satan. Thursday the State Department confirmed that the Islamic Republic has taken yet another American hostage: Ali Shakeri, a U.S. citizen who visited Iran, disappeared there in March, and is now thought to be held in Tehran's brutal Evin Prison. His seizure is an opportunity to reflect on the failure of President Bush's current Iran policy, which has achieved nothing, is unlikely to achieve anything, and ought to be jettisoned. We say "another American hostage" because several are already languishing in Iran's dungeons. They are Haleh Esfandiari and Kian Tajbaksh, both academics, and Parnaz Azima, a journalist. All were arrested on recent visits to Iran, and all have been accused of spying, a charge that carries the death penalty. A fifth American — Robert A. Levinson, a former FBI agent who was in Iran earlier this year on private business — has also vanished. Iran claims not to know what happened to him, but we have a theory. The kidnapping in rapid succession of five Americans is an obvious pattern of aggression against the U.S. and the West. (On that note, wasn't there a recent to-do over 15 British sailors and Marines?) You sure wouldn't know it, though, from the relative silence of Washington officialdom — which has preferred, apart from a few milquetoast statements by a State Department spokesman, to treat the kidnapping as isolated incidents. This demureness only confirms, in the minds of those inclined to believe it, the notion that the hostages were trying to undermine the Iranian regime. We suspect the administration hasn't made a bigger ruckus for fear of sabotaging the delicate "diplomacy" underway over Iran's nuclear program. In practice, this diplomacy consists of interminable whining for Iran to stop enriching uranium and the mullahs' none-too-subtle reply that the West should take a hike. Speaking of: The latest report from the International Atomic Energy Agency paints a grim picture. A year ago, Iran had 164 centrifuges. Now it's up to 1,312. A month from now it could have 3,000, enough to produce one atomic bomb per year. If Iran's enrichment shop keeps growing at this rate, it will be up to 8,000 centrifuges by the end of the year. Bush famously said that "time is not on our side" in the struggle to keep rogue states from proliferating. No kidding. Why, then, does the Bush administration's strategy to stop the mullahs seem to start and end at the U.N.? Four years after giving Europe a green light to sweet-talk Iran out of its nuclear program, and nine months since the Security Council took up the issue in typically glacial fashion, the only fruits of diplomacy are two exceptionally weak sanctions resolutions. Faced with this impotence, why wouldn't the mullahs keep sprinting toward the bomb? IAEA chief Mohammed ElBaradei, a reliable gauge of opinion in the "international community," acknowledges that the attempt to block Iran from enriching uranium has failed. If at first you don't succeed, try to revise your ambitions: ElBaradei now says we should merely ask Iran not to expand its enrichment operation. There is a word for this, and it is "appeasement." We hope that even as President Bush lets the U.N. prove — again, and again, and again — its uselessness as a guarantor of collective security, his administration is hard at work on a Plan B. But if so, he is playing his cards very close to his chest. What we fear — and, more alarming, what some of our friends close to the administration fear — is that he has no endgame outside Turtle Bay. Fortunately, there is still time for Bush to correct course. Above all, he needs to give the Iranians a reason to believe that there is an expiry on diplomacy. His administration should make clear — in public and in private — that it will spend a maximum of six more months on an all-out push to ratchet up sanctions. The Security Council could shut down Iran's economy by banning gasoline imports — something that China and Russia will never let it do. Marginally more plausible is the idea that Europe — especially France and Germany — could keep their companies from doing business with the Iranian regime (though the Germans were unwilling to restrict their commercial ties with Iran in response to the British hostage crisis earlier this year). 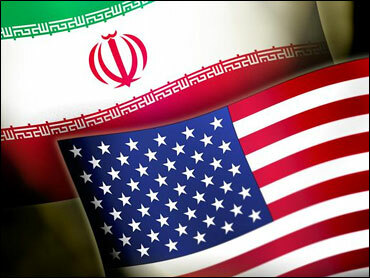 Perhaps the most promising approach is simply a stronger unilateral American effort to undermine Iran's economy. We could choke off a significant portion of Iran's commercial ties if we forced companies to choose between doing business in Iran and doing business here. But if, by the end of the year, all these efforts have failed — well, let the mullahs fill in that blank. Only once they have something to fear will they consider making a deal.